Last Saturday morning I was due to go shopping with my mum as it was Tim’s birthday on Monday and I hadn’t yet bought a gift for him. 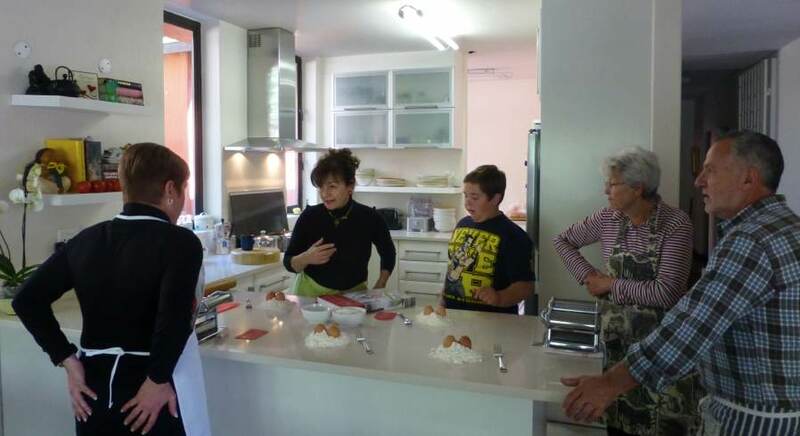 As we were about to leave the house, my cousin’s wife, Mariaan called me to ask me what we had planned for the day, and whether we didn’t want to cancel our plans and join them for a cooking masterclass in celebration of Corné, my cousin’s, birthday. Apparently his sister, brother-in-law and son couldn’t make it for various last-minute reasons, and we were welcome to join them. Everything had already been paid for, so it was just a matter of turning up. 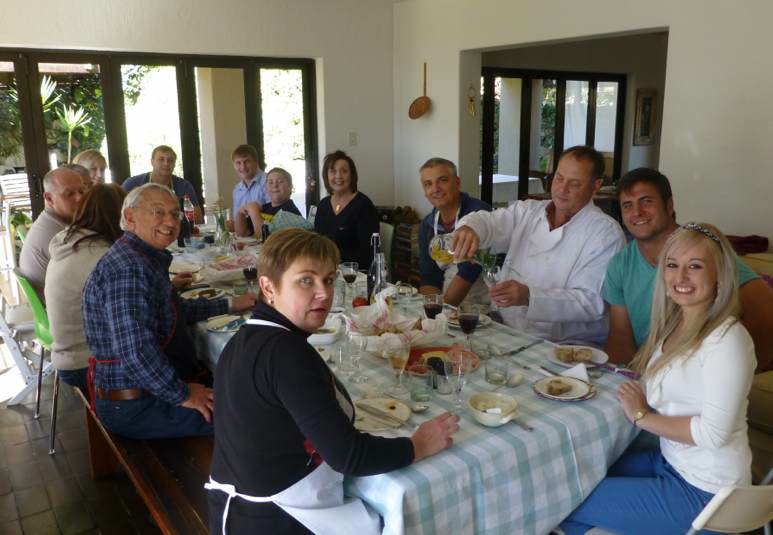 I decided to make an executive decision on behalf of the family, so everyone was informed, plans were amended, shopping trip cut short, and at 12.15 4 of us arrived at Bruna and Chris’s home in Muckleneuk, Pretoria. The most delicious smell welcomed us. I think it is fair to say that by this time we were still none the wiser about the arrangements for the day. We didn’t know who was going, what we would be cooking, how long it would last etc. We just turned up and prepared ourselves for an adventure. And what a pleasant surprise awaited us: My uncle, aunt, cousins, their kids and boyfriends and girlfriends were all there, aged 10 to 70! Bruna and Chris are so friendly, welcoming and hospitable. A long table was laid out beautifully and once everyone had arrived, Bruna announced that we eat first, then we cook! I have done many a cooking course in my day, but this was the first time I came across this order of proceedings. but don’t get me wrong – I was not complaining! 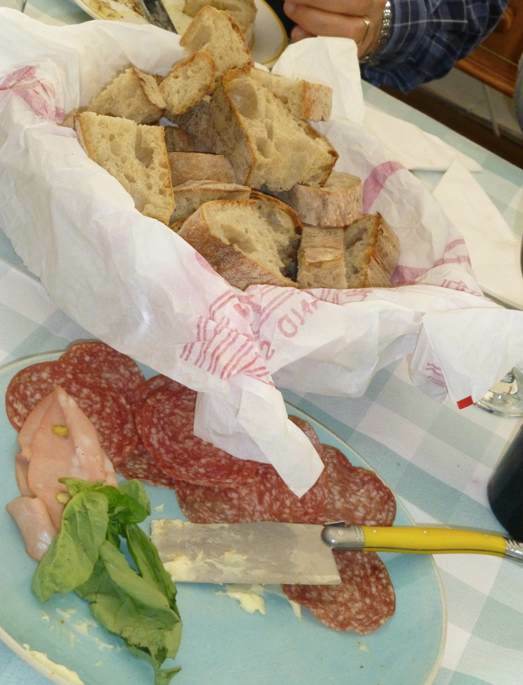 We all sat down and gorged ourselves on Italian artisan bread, a variety of cold meats, cheeses, spreads, wine and herb-flavoured water. And there was an endless supply! Bruna and Chris were never far away, and when a plate seemed to be running low, it would be whisked away only to be replaced by a new plate – more food, more wine, more water, more spreads. Everything was fresh, authentic and delicious. 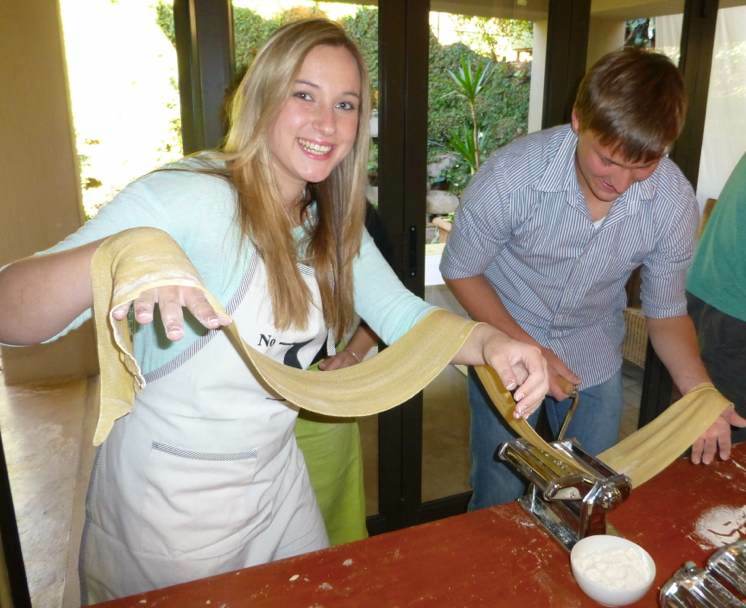 Once we were finished and were so full we could barely move, Bruna announced that is was now time to learn to make pasta! Bruna quickly explained what we needed to do: (approx) 100g flour for each egg, mix, knead, poke and prod, test, more flour, knead, poke and prod, test … and repeat until the correct consistency is delivered. Once this has been done, it is ready to start rolling out before making sheets. 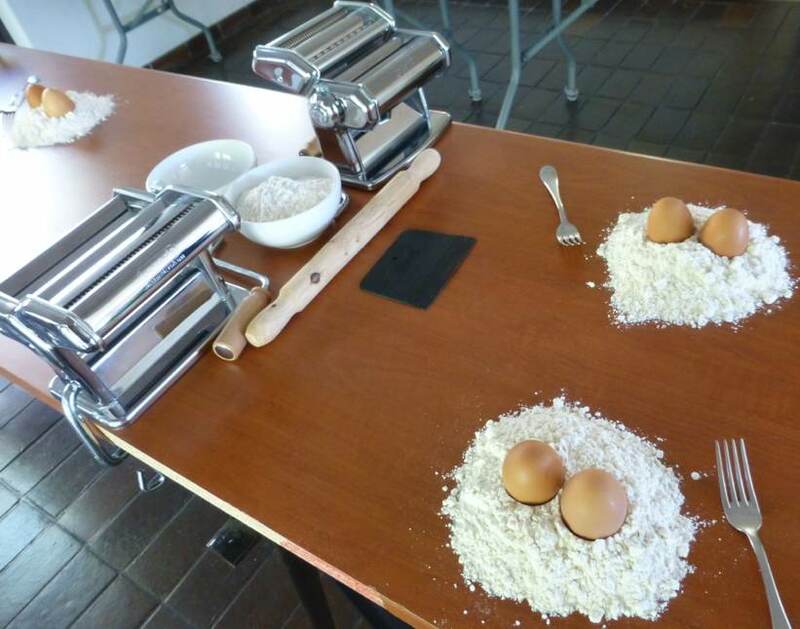 I had never used a pasta making machine before (not sure if they have a special name), but I thought it would be much more difficult. But as we managed to do it with ease, it cannot be that difficult after all!. Each sheet is rolled, re-rolled, and re-rolled, each time on a thinner setting until you have your perfect pasta sheets. These are placed flat and left to dry for a few minutes before cutting the sheets into foot-long strips with a pair and scissors. Back to the pasta machine where they are re-run through the machine to cut them into tagliatelle or finer spaghetti-like strips (forgotten the official name of the finer pasta!). 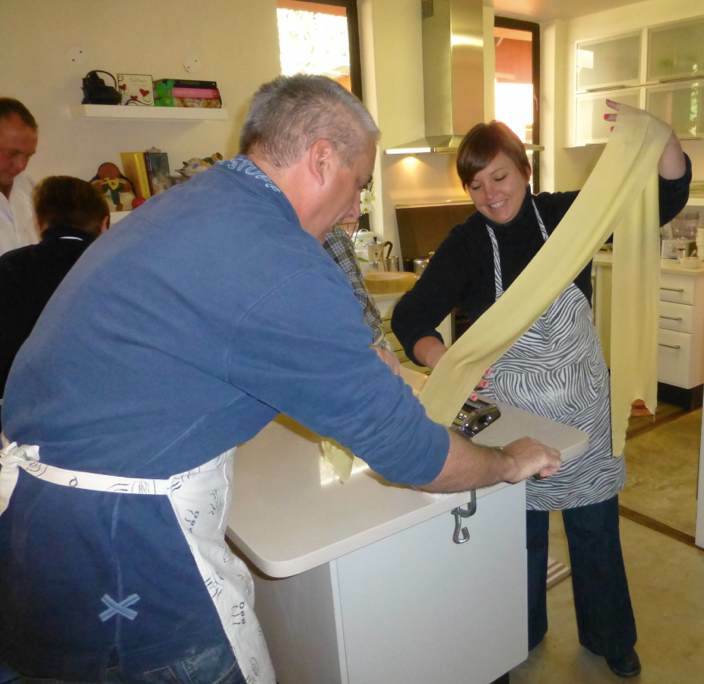 Next we had to dry the pasta – we used poles strung between 2 chairs. I wondered where I would dry it at home, and apparently using a clothes drying-rack works quite well too! These don’t take too long to dry and before you know it, it is ready to cook! 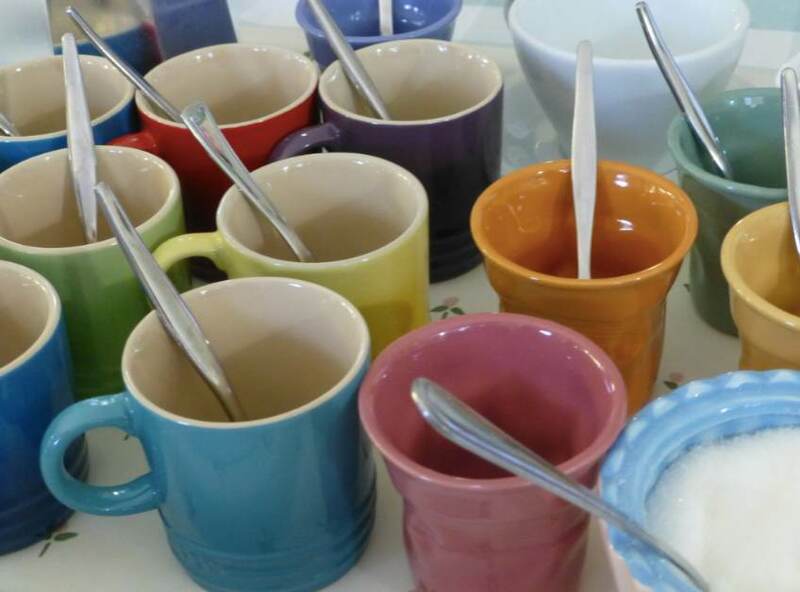 Once almost dry, they are moved to small heaps on a table, to continue the drying process. Time to eat our pasta! 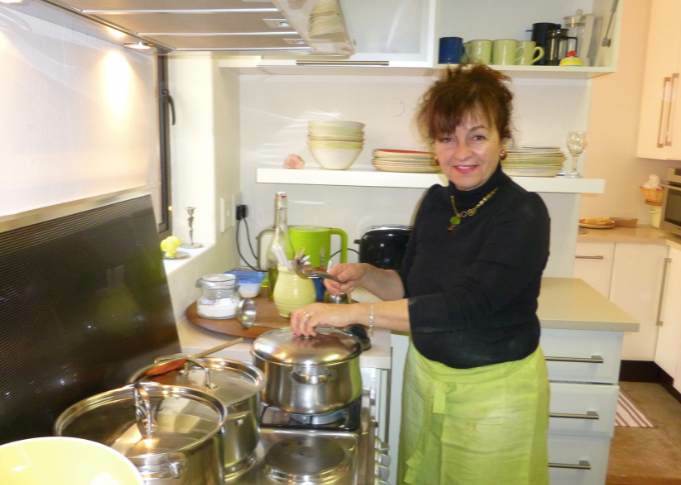 In a perfect, “and-here-is-one-I-made-before-style”, Bruna announced that she already had a ragu that she’d made earlier (and which is what we could smell when we arrived!). 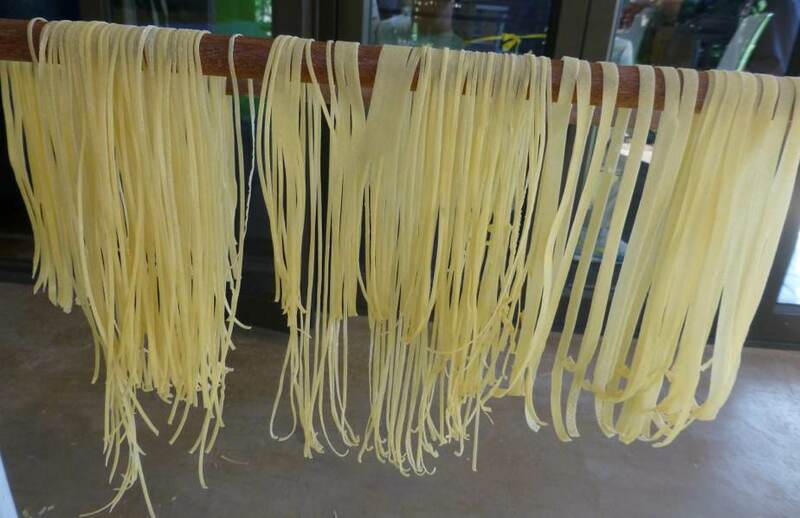 Each person had to go and fetch 2 hands full of pasta from the drying table outside and pop them into large pots of salted water, waiting on the stove. This would only take a few minutes to cook, so we had to prepare ourselves and return to the table to consume what we’d just made. Best pasta I have eaten! All became very quiet around the table and everyone tucked into the food. After a while, the ‘ooohs’ and ‘ahs’ were emerging. 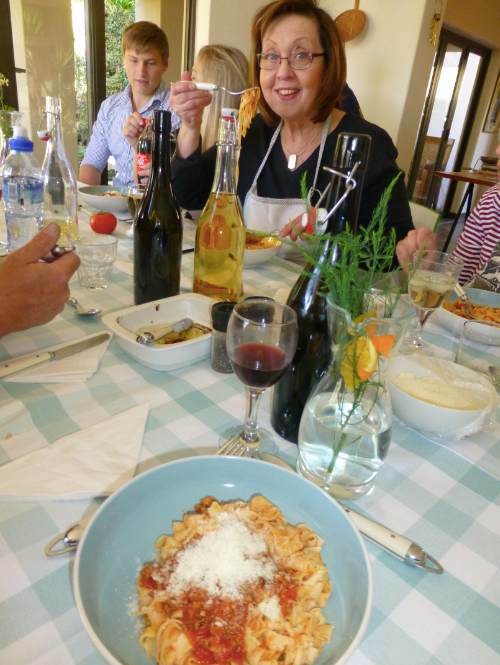 None of us could believe that we had made such amazingly, glorious pasta. It was truly delicious. 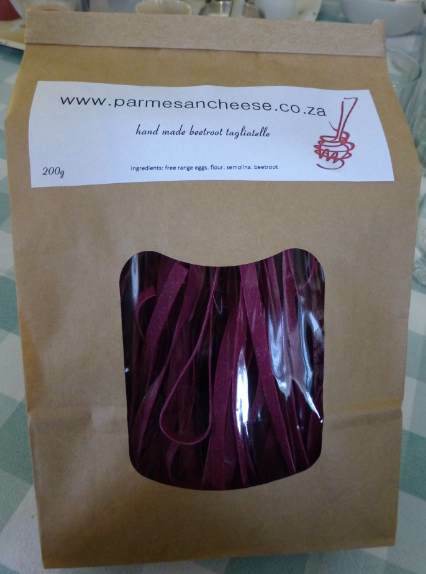 The only other pasta I can ever remember being as good, was the pasta that Maria Curozo, an Italian lady from Scicily, used to make in Greytown when we were growing up. This was the real deal! 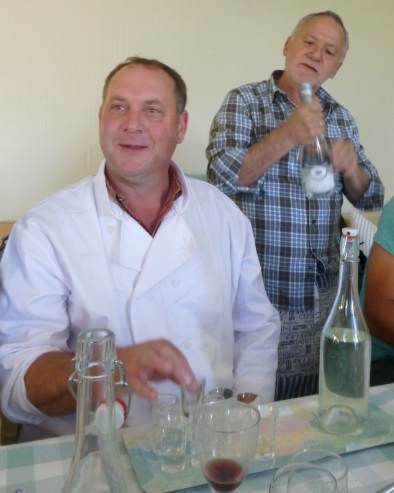 Chris treated the birthday boy by cracking open some Grappa. I was driving, so didn’t partake, although the fumes were enough to nearly knock me out! I decided to wait for the espressos, which again I couldn’t get enough of. I am normally a one-cup-of-coffee type of person, but I think I had 3! I think it is fair to say that we had a fantastic day. The hosts, the company and of course the food and drink all contributed to in incredibly successful and enjoyable day. Their cooking school is not run full time, which does mean that they get booked out quickly, so booking ahead is crucial.